Colonialism brought with it several wars and thousands of deaths. The locals did not want to give up their lands, but the colonials were determined to capture the lands, set up their businesses, and extend the boundaries of their nation. One such war was fought among the Pequot and the English colonists whose allies were other Native American tribes. Pequot lost the war to the English. Before the war, the Pequot controlled what is today modern Connecticut and Long Island. The Pequot had controlled the lands, trades, and the other Indian tribes, too. Before the arrival of the English, the Dutch were on these lands. The Pequot people had used inter-marriage and diplomacy to gain power in the area along with the Dutch by their side. The other tribes had also wanted to control the fur and wampum trade. 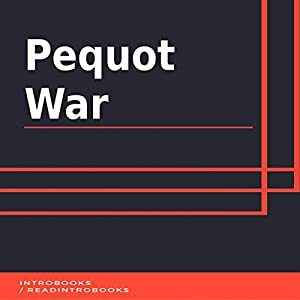 The Pequot had made Indian enemies already, and when the English arrived on the island, these enemies made allies with the English and attacked the Pequot, which led to the Pequot War.